Accenture Digital brings together industry-leading digital marketing, analytics and mobility services across industries and geographic markets. Earlier this year, Marketing wrote about how these professional services firms are posing a threat to the marketing agencies. Read: Competitor alert: Agencies, are you ready? In the article, Richard Bleasdale, regional managing partner at The Observatory Asia Pacific, says the marketing agency industry has been trying to move “up the food chain” to regain the business-focused strategic role at the top table that it used to enjoy, but hasn’t for a long time. This has had limited success, largely because most fail to have the depth of understanding of a marketer’s business that is required, and “focus on being ‘creative providers’ with work being bought by the metre, rather than having deep insight into a marketer’s challenges”, he says. Bleasdale suggests agencies hold on to their unique talent by offering a culture and environment that nurtures that thinking, but is based on greater business understanding and insight. Meanwhile, Accenture Digital will provide clients with a comprehensive portfolio of business and technology services – from developing digital strategies to implementing digital technologies and running digital processes on behalf of clients. Through the combination of Accenture’s analytics, mobility and digital marketing capabilities – including Accenture Interactive which provides digital services to chief marketing officers – Accenture Digital will help clients leverage connected and mobile devices; extract insights from data using analytics; and enrich customer experiences and interactions. “Digital has fundamentally changed the way our clients operate – from how they interact with customers, citizens and suppliers, to how they manage their employees,” Pierre Nanterme, Accenture’s chairman and CEO, said. Accenture Digital, which brings together 23,000 professionals, will leverage the breadth and scale of Accenture’s cloud, systems integration and enterprise application capabilities – and its global delivery network – to help clients integrate digital into all facets of their organisations and transform their businesses. “Our ability to work seamlessly across the entire digital landscape, combined with the depth of our industry expertise and our broad global footprint, gives us a powerful competitive advantage,” Michael R. Sutcliff, the newly appointed group chief executive – Accenture Digital, said. 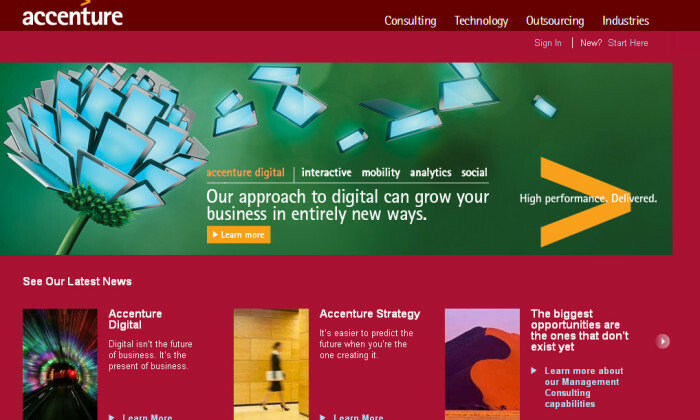 Accenture could not respond to Marketing’s query for more details at the time of writing. Half of the Malaysian consumers who own an ISD claimed to have purchased it from one of the largest Southeast Asia-based eCommerce..